Though new to me, Alan Sondheim has been around for a long time. His 1967 Riverboat album is notable for its inclusion on the Nurse With Wound list, and he recorded albums for the ESP-Disk label. The list of instruments he is credited with on this album is what first caught my attention. In addition to electric guitar and violin he also plays dan moi, suroz, sarangi, oud, cura cumnbus, electric saz, viola, cura saz, and pipa. His partner, Azure Carter, is a singer/songwriter whose lyrics on the album are, to quote the promo sheet, “related to and/or inspired by Second Life, an online virtual world.” Along with Christopher Diasparra on tenor and baritone saxophones and Edward Schneider on alto sax we have the dozen songs that make up Avatar Women. Instrumentally the music is stripped down, with Sondheim playing solo instruments, and switching among the various pieces in his stringed arsenal. He’s a gifted musician, the songs typically consisting of frantic yet incredibly passionate soloing. When the horns join in they are usually restrained and never dominate their stringed ally. In fact, it’s not uncommon for the horns to be the pastoral counter to Sondheim’s frenzied playing. Carter’s vocals are a mixture of singing and poetic narrative, which contrasts but nicely melds with the music to create a uniquely intriguing combination. Stylistically the music is a witch’s cauldron, the whole being a kind of Avant-Ethnic/Traditional/Shamanic/Jazz blend. Representative tracks include Buried, on which Sondheim’s stringed instrument has a trippy Middle Eastern bazaar feel, playing a slightly dissonant and dronish yet pleasantly hypnotic melody, which sounds very nice combined with Carter’s vocals. Sondheim plays a frantic melody on Dark Robe, again with a Middle Eastern flavor, though there is a strong avant free-improv element. And when the horns join in it gives the music a strangely ethereal jazz quality. On Surely the music has elements of some traditional, perhaps Celtic pub style, yet it’s also got that Eastern vibe, shaken and stirred within a shamanic free-improv jazz context. Later in the piece Sondheim’s playing takes off like a maddened experimental Bluegrass musician, joined by slowly jazz soloing sax. I love the Eastern mystic meets banjo pickin’ hillbilly style on World, accompanied by wailing jazz horns. Making Boys is similar though Sondheim’s playing becomes frenzied, tempered only by the vocals and subdued horns. 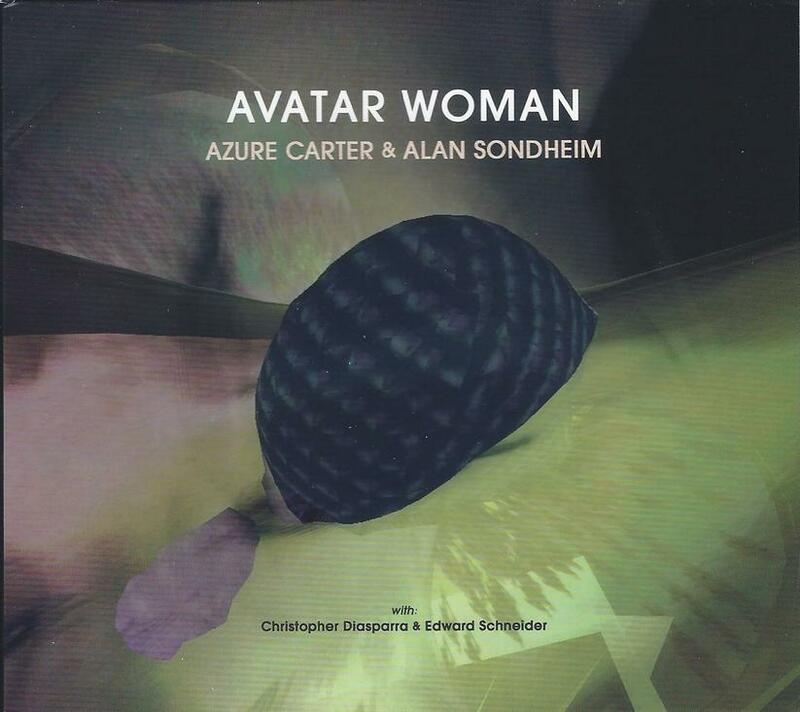 Avatar Man With Dream Women and Buried II are a little different, with Sondheim playing what sounds like an electronically enhanced jaw harp, again making for an interesting contrast with Carter’s vocals. In summary, Avatar Women might have succeeded even if it were Sondheim alone. His playing had me transfixed throughout. But combined with the vocals and horns we’ve got one of the most compelling blends of styles I’ve heard this year. Aural Innovations readers with experimental tastes will appreciate the (I’m sure unintended) Psychedelic elements.